Remember that it will take time to adjust to the feel of your new bite. When the bite is altered or the position of the teeth is changed it takes several weeks for the brain to recognize the new position of your teeth or their thickness as normal. If you continue to detect any high spots or problems with your bite, call our office at 540-337-2400 so we can schedule an adjustment appointment. Don’t be concerned if your speech is affected for the first few days. You’ll quickly adapt and be speaking normally. You may notice increased salivation. This is because your brain is responding to the new size and shape of your teeth. This should subside to normal in a few weeks. If you engage in sports let us know so we can make a custom mouthguard. If you grind your teeth at night, wear a night guard we can custom make to fit your teeth. Adjusting to the look and feel of your new smile will take time. If you have any problems or concerns, please let us know. We always welcome your questions. Occasionally a temporary crown may come off. Call us at 540-337-2400 if this happens and bring the temporary crown with you so we can re-cement it. 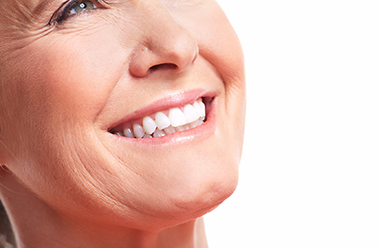 It is very important for the temporary to stay in place, as it will prevent other teeth from moving and compromising the fit of your final restoration. If your bite feels uneven, if you have persistent pain, or if you have any other questions or concerns, please call our office at 540-337-2400. Use the pain medication as directed. Call the office at 540-337-2400 if the medication doesn’t seem to be working. If antibiotics are prescribed, continue to take them for the indicated length of time, even if signs and symptoms of infection are gone. Drink lots of fluid and eat nutritious soft food on the day of the extraction. You can eat normally as soon as you are comfortable. It is important to resume your normal dental routine after 24 hours. This should include brushing your teeth three times a day and flossing at least once a day. This will speed healing and help keep your mouth fresh and clean. After a few days you will feel fine and can resume your normal activities. If you have heavy bleeding, severe pain, continued swelling for 2-3 days, or a reaction to the medication, call our office immediately at 540-337-2400. When an anesthetic has been used, your lips and tongue may be numb for several hours after the appointment. Avoid any chewing and hot beverages until the numbness has completely worn off. It is very easy to bite or burn your tongue, cheek or lip while you are numb. It is normal to experience some hot, cold & pressure sensitivity after your appointment. Injection sites may also be sore. Whatever you use for a headache Ibuprofen (Motrin) or Tylenol (one tablet every 3-4 hours as needed for pain) will work well to alleviate the tenderness. If pressure sensitivity persists beyond a few days or if the sensitivity to hot or cold increases, contact our office at 540-337-2400. You may chew with your new fillings as soon as the anesthetic completely wears off or in 2 to 3 hours.